Let’s take a step back from impending free agency, and discuss a player I believe faces the most important offseason of his career. 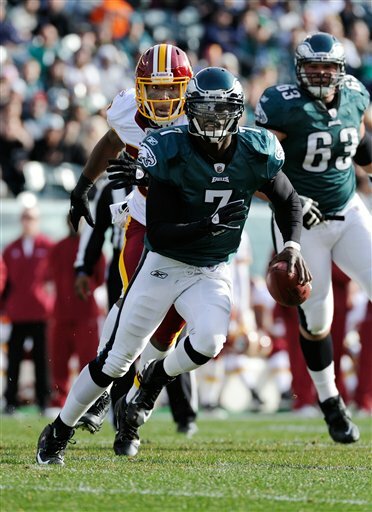 I’m speaking of Michael Vick, the spectacular yet inconsistent quarterback of the Eagles. It’s been 11 years since Vick entered the NFL as a daring rookie with the Falcons, showcasing running skills that had not been witnessed before at the quarterback position. 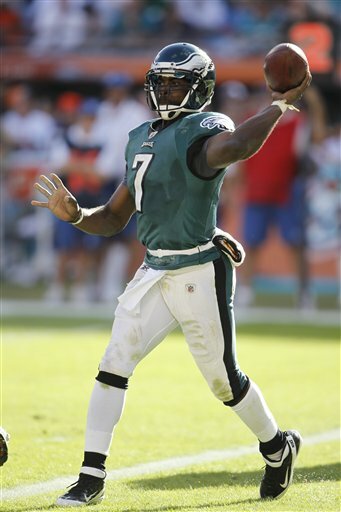 Vick was the new generation quarterback, a player whose stunning and breathtaking abilities would transcend the conventional axioms of the position and take it to a new frontier. We know, of course, it didn’t happen that way. No one revolutionizes the position. Vick, despite his occasionally dazzling feats with his legs, never evolved into a consistent pocket passer. Throwing the ball from the pocket is the foundation of the NFL quarterback position. All route combinations and reading progressions derive from the drop of the quarterback into the pocket, whether it’s 3-step, 5-step or 7-step drops. The depth of the receivers routes match up with the quarterback’s drop. It’s built on discipline and precision. Vick never mastered the craft of playing quarterback. He was a spontaneous and improvisational playmaker — reacting and countering rather than dictating and imposing. His extraordinary athleticism was always dangerous yet rarely dependable. You saw a frenetic quarterback, moving, playing randomly, trying to make improvisational plays. He might make a few, or he might not. Improvisation is random and arbitrary. Think about it this way. Defensive coordinators no doubt will speak to the difficulty and complexity of preparing to defend Vick because of his dynamic, game-changing running ability. That’s an inarguable point. Yet, no one seems willing to connect the dots. If Vick presents such an enormous challenge to match up against from a defensive standpoint, why has that rarely equated to week-in and week-out consistency? This was again the case last season in Philadelphia. Vick, as he always will due to his exceptional throwing talent, made some throws that were special. There’s no question he is capable of that. He can flick it with the best of them. At his best, he can make every throw, with accuracy, whether it requires velocity or touch. A review of every one of Vick’s drop backs last season reveals the issue. Vick, like almost all quarterbacks who can make plays with their legs, has a strong tendency to leave the pocket too early, to not allow the route combinations to fully develop. He was often gone from the pocket before the primary receiver, within the structure of the route combination, broke wide open. Vick might then make a brilliant run for eight yards that we see over and over, but he missed a bigger play. This happened too many times. The phrase we use to describe that is, he left plays on the field. Vick leaves far too many plays on the field. And let’s not get into the offensive line debate. This was not a function of poor offensive line play. 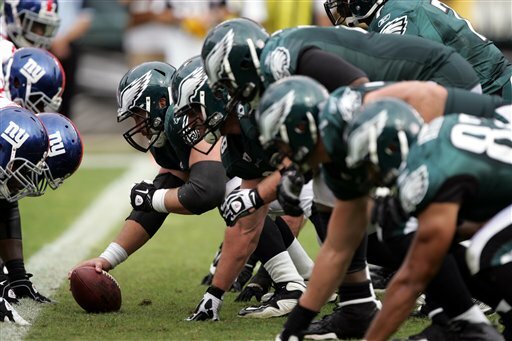 In fact, careful study of the Eagles offense showed the unit graded well throughout the season. Quarterbacks who consistently play with precise timing and discipline always help the offensive line. Quarterbacks, like Vick, always make the line look like it’s playing poorly. The overriding point with Vick was he too often played outside of structure, and it is not possible to be a consistent NFL quarterback playing that way. I once had a Super Bowl winning head coach tell me and I quote, “The problem with quarterbacks who can run, is they run”. Structure, not improvisation, generates consistent execution. The next step for Vick, and it’s the decisive one if he is to become a high level NFL quarterback, is to master the pre snap phase of the position. That’s what often separates good from great in today’s NFL, and why this off-season is so important. Many overlook that Vick has not had an off-season as an unquestioned starter since the 2006 season, his last in Atlanta. There’s a critical distinction in the development of NFL quarterbacks. It’s the difference between understanding defenses, and manipulating defenses, the divide between the concrete and the conceptual. Understanding defenses is the first step in the process. It allows you to register and process what you see. Manipulating defenses before the snap of the ball is the Ph.D of NFL quarterbacking. The great ones, like Brady, Brees, and now Rodgers and Manning, know where the defense will move after the snap. Their decisions are almost always made in the pre snap phase. Nothing that occurs after the snap surprises them. They play proactively, not reactively. As a Patriots offensive coach once told me, the magic with Brady occurs before the ball is snapped. Vick must get to that point in his development. That comes from off-season work, something he has not had as a starter in 6 years. Vick needs to play the position as a disciplined craft, not as a spontaneous playmaker. That road will always lead to disappointment and frustration.